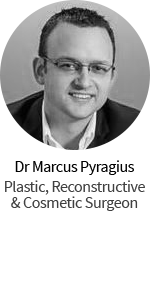 Dr Naveen Somia is a highly respected Sydney plastic surgeon and took time out to chat to us about blepharoplasty, or eye surgery and answered all our questions. 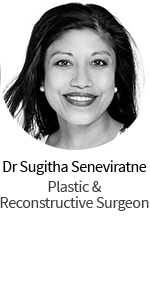 Trish: Hey, listeners, well I’m here today with Dr. Naveen Somia, and Dr. Somia is a specialist plastic surgeon who’s based in Bondi Junction, and Bella Vista, in Sydney, and today we’re going to have a discussion about blepharoplasty. For those of you that don’t know, blepharoplasty is eyelid surgery. We’re going to actually talk about upper and lower blepharoplasty, which is his specialty. It’s what he does a lot of, and it’s what he knows the ins and outs of. So thank you so much for joining us today. Dr Somia: Thank you, Trish. Trish: So tell us, I know that you do a lot of blepharoplasty surgery. Can you tell us a little bit about upper, well, actually, we’ll start with the upper. So what is upper blepharoplasty surgery? Dr Somia: Upper blepharoplasty surgery is the technical term for upper eyelid surgery. The commonest reason people have upper eyelid surgery is to correct changes that usher with the advancing age. Namely, the most common feature is that the loose amounts of excess skin that people see on top of the eyelid, between their eyelid and their eyebrow which is, apart from being unsightly, can also interfere with your activities of daily life by restricting your vision and visual field. Trish: Okay, and is it just, does it just affect people as they get older, or can it actually be, because I’ve seen young people that have actually got really hooded eyelids, so is just like, some people are born like that, or can you do it on someone young, basically? Dr Somia: The condition you’re referring to it called eyelid ptosis. This is usually a congenital condition, in other words, you’re born with it. Sometimes it can occur in one eyelid, sometimes it can occur in both eyelids. Unfortunately, in these patients, they do have a reasonable amount of eyelid droopiness at a very young age, and as a result, it can manifest as the tired appearance that people commonly encounter in daily life. The other feature is if your bony structure around your eye socket is weak due to an inherited weakness, then you have premature bony ageing around your eye socket, which ultimately translates to the aged appearance in your eyelid. So, typically, what normally patients would expect to see when they’re 45 or 50, will start seeing them when you’re 20, 25. Which ultimately translates to a visual appearance of loose eyelid skin, and droopy eyelids are a combination of both. Trish: Okay, so you can just have those natural genes, where you’re going to age a bit more around the skinnier area around your eyes? So it’s not necessarily an age thing, so it can happen when you’re younger, as well? Dr Somia: That’s correct. Commonly, that occurs due to the natural ageing process, but if you’re genetically predisposed to early premature ageing, then you can see that early on. Trish: So, is it true? I had heard this rumour, I don’t know if it’s true, but is true that one in four people actually have this surgery in Australia? Dr Somia: It is a very common surgery in Australia, but I’m not sure whether it is a one in four ratio. Because, when you have extreme form of the sun damage, and the sun damaged skin, the skin tends to lose its elasticity and tends to hang out, and it can lose as well as interfere with the vision. So it’s probably a pretty common surgery, but I’m not sure if it’s one in four. Trish: I don’t know where I heard that, but I thought, “Wow that’s a lot of people”. 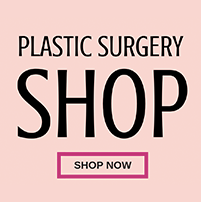 So can I ask you, I’ve seen a lot of people who’ve had a blepharoplasty surgery, and I know you can get it done at other people that are not plastic surgeons, but I’ve also seen the people that have surgeries, with someone who isn’t a plastic surgeon, where you can actually see the scarring come through. Everyone kind of looks a bit the same, so, of course, if I was going to have it done, I’d have it done by a plastic surgeon. Because I’m presuming this guy would be better. Would that be a fair assumption? 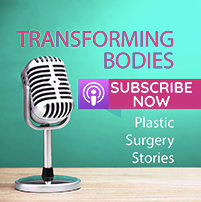 Dr Somia: I think the scarring is inherent to your body habit and your genetic makeup, but I think the way the plastic surgeon can be slightly different is that in the design of the scar. In other words, the sight, the extent of the scar, and where to start and where to stop. And limiting the scar from going outwards too much is probably an important feature to make the eyelid surgery look quite natural. If you just assume this is a piece of skin that I need to cut, then you’re unlikely to pay a lot of attention to the final feature of your scar, which is the one that determines if you had a good job or not a good job. 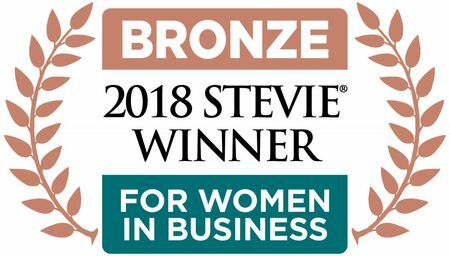 Whereas a skilled plastic surgeon would spend a lot of time trying to decide where to start and where to stop the scar, which will make a big difference to the overall aesthetic outcome of the eyelid surgery. Trish: You’re right. Can someone have this procedure done in your … or do they have to go to hospital, under a general? Or can you have it done under local? Dr Somia: You can have it done under local anaesthetic, provided the patient is quite happy to have it done. The limitations of local anaesthetic are, you can only do so much in your rooms, and if it’s a very straightforward, skin-only blepharoplasty, then it is suitable to be done in rooms. The drawback of doing in rooms is, patients tend to be quite anxious and to sit still for a prolonged period of time, knowing fully well somebody is cutting into your part of your face that is so close, can make patients quite anxious. The problem with being anxious during surgery, is you bleed a lot, which ultimately translates to excessive bruising, slower recovery, so on and so forth. So it is probably, I personally prefer to do it under a general anaesthetic, mainly for these reasons I mentioned. Trish: Yeah. No, that’s fair enough. I’d definitely go general anaesthetic any time. I’d just have general anaesthetic. But, anyway, and so … I was going to ask you one other question. If someone’s having it in, under general anaesthetic, how long would it actually take, if it was just an upper bleph, how long would that procedure actually take? Dr Somia: Depends on what requires to be fixed. If it is skin only, we should take about an hour for both sides, but if you do slightly more interventions, which you cannot determine unless you actually see the patient at the consultation. It is so bespoke that what is applicable to you may not be applicable to your next door neighbour. It is as unique as that. Otherwise all of us will have eyes that look the same. So your ageing process will be different to your neighbour. So, sometimes you need to do skin only, sometimes you need to do the skin, and probably fix the eyebrow that is a bit more droopy. Sometimes you need to reposition the fat. Sometimes you’ll have to tighten the muscle that actually opens up the eyelid, to correct the ptosis, which coexists with an ageing eyelid. Or sometimes you’ll have to do a combination of everything to get the best result. Trish: Can something go wrong? Well, I’m pretty sure, I know it can, because I’ve seen … one woman contacted me a little while ago and she’d actually had a blepharoplasty done, but the surgeon had taken too much skin, so you could actually see the whites of her eyes above her pupil. So things can go wrong, can’t they? Dr Somia: Yes, absolutely. Things can go wrong, and this is one of the commonest that can go wrong, because when somebody complains about excess skin, the entire focus is on removing the excess skin. But your entire focus should be to leave behind a certain minimum amount of skin that facilitates good eyelid closure, with no tension. This is the difference between a good surgeon, and somebody who just operates without having any formal surgical training. So the focus should be on a minimum amount of skin that you’re going to leave behind, that will facilitate good and normal eyelid closure. The other complications that can happen is due to excessive bleeding that can occur, if you’re not very careful, and the patient’s still on blood thinning drugs, which is unlikely but possible. There’s a very low risk of blindness with any eyelid surgery. Although it is not very common, it is something that we, as doctors, have a duty of care to inform our patients that there is a tiny, tiny risk of blinding. Mainly because of the excessive bleeding that can occur during surgery, can go down into the eye socket, and put pressure on the nerve that is responsible for normal vision. Trish: Yeah, right, so that’s still a scary thing, yeah. Absolutely. Can I ask you as well, that’s the upper eyelid, and then we get down to the lower, and I know the lower blepharoplasty, I’ve seen lots of people. I’m thinking that’s for when, just on the eye bags, or when it’s all really bunched, and it’s all really fatty, is that what that’s about? Dr Somia: Yes, that’s correct. The lower eyelid surgery is normally undertaken for patients who are absolutely concerned about their eye bags as you call it. Eye bags become more prominent as you get older, and the main reason why eye bags become more prominent is because the eye socket bone tends to shrink with age. Unfortunately, in some patients who are predisposed to early premature ageing, they start to shrink early, and you start noticing them around the twenties or early thirties. But typically you’d notice them once you cross the 45 or 50 years of age. There are five or six things that occur in the lower eyelid as a part of your ageing process, and part of the lower blepharoplasty should incorporate trying to fix all of those five conditions, whatever conditions you have. Loose skin is number one. Excess fat is number two, and loose and saggy eyelid is number three. The deep grooves is number four. And the presence of your cheek that is usually held high up in your cheekbone area, with age tends to sag down, and trying to lift it up actually gives you that youthful cheek appearance, as a part of the lower blepharoplasty. Trish: Oh, so when you do the lower, you actually fix the cheek as well, like the cheek’s involved somehow, as well. Dr Somia: The best way to look at it is to look at the cheek as a weight around your ankle, and the ankle being your eyelid, lower eyelid. So, if you have a downward force on your lower eyelid, the support on your lower eyelid is very low, and it predisposes your eyelids to complications post-surgery, if the downward force is quite significant. So, it’s a part of a good assessment during the preoperative consultation to see if that part of your cheek is actually a friend or a foe, and if it is a friend, you can leave it intact and just focus on the eyelid. But if it is a foe, it is only going to get worse, so you’re better off trying to fix it, to blend what we call as a lid/cheek junction. So that the deep groove that you see separating the lid, lower lid and the cheek is blended very well, to make it quite aesthetic and pleasing. Trish: I think I know exactly what you mean, because I’ve seen some spectacular results where they’ve had the upper and lower done all at once. Apart from the fact that it makes you look, I reckon 20 years younger, if it’s done properly. It’s not really going to get that bad as it was ever again, is it? Because, once you fix it, I’m presuming once you fix that fatty pads once, it’s done isn’t it? Dr Somia: That’s correct. Yes, your ageing changes that occur with time do catch up with you, but not at the same rate as you’d expect it to catch up. As we usually tell patients, you usually get about 10 to 12 years out of these two operations. Trish: And you definitely wouldn’t have a lower blepharoplasty done on a local? That’s just not negotiable? That’s surgical, a general, isn’t it? Dr Somia: That’s correct. I think it would be a bit hard to do a lower blepharoplasty under local anaesthetic only in rooms, just because of the technical difficulties that come with it. Trish: So if a patient was having an upper and lower bleph in hospital, how long would that procedure take, roughly? Dr Somia: As I mentioned, it depends on how many steps involved in each operation, and how many anatomical changes that you have to correct or recalibrate, so to speak. Typically it can vary from between three to four fours. Trish: Wow, that’s a lot. Dr Somia: That’s quite, it’s a lot. That includes anaesthetic time as well as recovery time. If you say an average of about half an hour to 45 minutes per eyelid, that’s how long it’s going to take. Trish: Yeah, and that makes sense that it should actually take that long, because if it’s quicker, you got to really have a think about it. Because it’s a major surgery, right there on your eyes, so it should take a while. Also want to ask you, how does Medicare fit in? If your vision is blurred for an upper blepharoplasty, I know that Medicare does pay a certain amount. Can you tell us how that works? Dr Somia: So Medicare covers upper eyelid surgery in special circumstances, but it does not cover lower eyelid surgery. So if you do lower eyelid surgery, it’s completely viewed, it’s viewed as a 100% cosmetic operation and hence, you do not get Medicare or health fund support for that. Upper eyelid is very specific, and if your eyelid condition is following either a traumatic event or a previous cancer, even, then yes, it will be covered. For people who have ageing changes, if you have ptosis, in other words, a weakness of the upper eyelid muscle due to a birth defect or ageing. If you have ptosis, then Medicare does help out a little bit. For people who have excess amount of eyelid skin that is interfering with their vision, there is a provision in Medicare for that to be covered. But because Medicare tends to review its item numbers on a regular basis, I would suspect that this would be one that they would review very closely, to make sure that this is not only documented. So, if you have visual defect or visual interference due to the excess skin, you can expect some help from Medicare, but your surgeon has to make sure that it is properly documented, with photographs, and probably a optometrist objectively measuring your visual field interference. Trish: When you say it’s covered by Medicare, so does that mean the patient just gets a certain amount rebate? Or would it cover hospital? Like, if you needed to go in and have a general, what are you actually covered for? Because I know that when I had a breast reduction surgery, I got a Medicare rebate. It cost me 10,000, but I only got $1,000 back from Medicare, is that the same sort of thing? Dr Somia: Yes, it’s a similar sort of thing, because if you have Medicare alone, and no private insurance, then your bill, or your hospital bill, doesn’t get taken care as a part of your care. But if you’re in a private health fund, then, depending on the level of cover you have, the private health fund will contribute significantly towards your hospital hill. Which basically means your day surgery or overnight stay, or [inaudible 00:15:15] fee. Plus a small portion of your anaesthetic fee, and a small portion of your surgical fee, that ultimately translates to you having to pay a gap, but the significant help from your health fund, as well as Medicare. Trish: Got it. So say for example, because I know with other items, if any cosmetic “surgery” is done, Medicare doesn’t cover it, or your health fund doesn’t cover it at all. Is it the same with the upper and lower? If someone was having upper and lower bleph, but the upper was because they couldn’t, or they were entitled to a Medicare rebate, would they still be able to … and you had to do the lower, so would they still be able to get that Medicare rebate? Or would that wipe it all out? Dr Somia: What we found is this is an interesting trend that we’ve encountered in 2018. Previously, if you had an upper lid surgery and a lower lid surgery, the upper lid would be classified as medical, and lower lid as non-medical, but your health fund would pay for a portion of that fee, and the rest, you’d cover the balance. But as of 2018, what I’ve encountered with my patients’ interactions with their health funds, they said if you’re having a cosmetic procedure with a non-cosmetic procedure, we don’t cover either. Which is a significant disadvantage to the patients because, if, say for example, somebody wants to have an upper and a lower lid surgery, previously they could have one anaesthetic, but now, they have to have two. Otherwise, they will not get the operation done. Or else they’ll have to pay for the whole thing as a self-funded patient. Trish: Oh, wow! So when you say, have one general anaesthetic, have two, it’s still in the one procedure, or two separate procedures, you mean? Dr Somia: Previously, they could have one anaesthetic and have both at the same time, and you proportionally pay for the cosmetic part, and the health fund would pay for the non-cosmetic part. Whereas, as of 2018, I’ve discovered, based on the interactions my patients have had with their health funds, is if they end up having a cosmetic procedure clumped with a non-cosmetic procedure, then the health fund would pay for nothing. Trish: Oh, wow. God, they’re getting tight, aren’t they? Dr Somia: Yes, they are. Trish: I suppose that’s because a lot of people kind of abuse it, and it sort of messes it up for everyone. But still, it just seems a bit unfair. But, oh, well. Dr Somia: But that’s the rules that they write every year. Trish: Yeah, that’s true, and I suppose that brings us back to any point, that no matter what you know about what you’re covered, what you’re not covered, or what someone else has covered for you, you’ve got to, really, as an individual, you’ve got to find for yourself exactly what you’re covered for, if you aren’t with the health fund. So it’s up to you to find out, as of today’s date, what you actually will be covered for, no matter what happened to someone else last week or whatever, is that right? Dr Somia: That’s correct. The rules are changing quite rapidly, to the point that we can’t, can no longer keep up with it, and because each health fund offers so many policies, and you never know what your policy covers, until you actually ask the question. What we do is, we give the patient the item numbers that we think is appropriate for that particular surgery, and ask the patient to call up their health fund and ask the health fund to see, if, based on their current policy, what is the level of cover they have? The answer may be, you’re fully covered, or you’re not covered at all, or somewhere in between, but that’s important for the patient to find out, and not to assume that they will cover. Because, if you have no clarification from the health fund before the operation, it’s not going to happen after the operation. Trish: Yeah. Going back to that Medicare thing, because I now get asked all the time, so this can clear it up for me, once and forever … so, an upper blepharoplasty, if it was for vision, would attract a Medicare item number, but a lower blepharoplasty would never attract a Medicare item number. But when you ring your health fund, you just got to ask them whether that item number is covered, and whether you’d be covered for the hospital on the cosmetic procedure. Would that be right? Trish: Well, that’s great. I don’t think I’ve got any other questions I’ve been asked about, but a blepharoplasty is so often, and I’ve never really known exactly what to say. So thanks so much for clearing all of that up for us today. Trish: Lovely. So if, ladies and guys out there, if you’re looking at having a blepharoplasty surgery, whether you’re in Sydney or not, it’s definitely worth considering travelling to see Dr. Naveen Somia.As I said, he’s in Bella Vista, and Bondi Junction, and you can find him, just Google him, if you like. 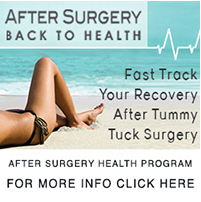 Or otherwise, you can just send us an e-mail to info@plasticsurgeryhub.com.au. Thank you so much.